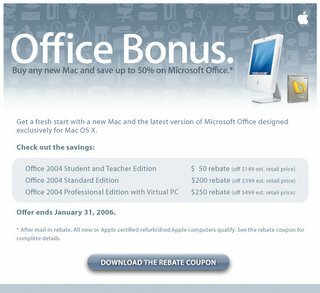 Just in time for your shopping, if you are going to buy a Mac this holiday season, don’t miss this awesome deal. Office Pro comes with Office 2004 + VPC 7 + Windows XP SP2 and with this rebate you save $250! Check out our MacBU home page for more information.